The Royal Navy has a language all of its own and the average matelot uses a lot of terminology unheard in other walks of life. Here is a guide of the more common naval terms for those that have never served and as a gentle reminder for those that left the Navy many years ago. Buggery board The long board running along the inside of a bunk on a ship, separating it from the adjacent bunk. Cheesy hammy eggy Ham and melted cheese on toast topped with a fried egg. Double-bagger Someone so ugly that you put a bag over your own head in case theirs falls off! Four O'clockers A snack of sandwiches or buns sometimes served at 4pm when at sea. Gulpers A quantity of drink somewhere between "sippers" and "sandy bottoms"
Nine O'clockers A supper of sandwiches or buns sometimes served at 9pm when in harbour. Shithouse shinpad A method for transporting pornographic literature to the heads unnoticed. Three-badgeman Someone with 3 good conduct badges (12 years service) and usually has not advanced beyond Able Rate. Two's up Reserving position eg "two's up with that book"
Uckers A mess game. A variation of Ludo. 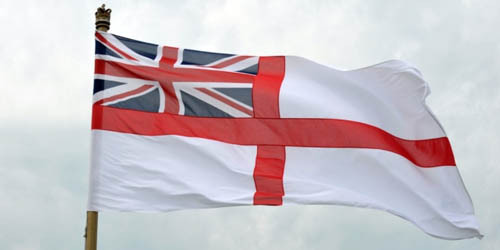 This is a privately-run, non-commercial and unofficial website and as such, not endorsed by the Royal Navy, Ministry of Defence or any veterans association. All content has been obtained from publically available or donated sources. Content removal requests should be sent to . If you have any photos or information that you wish to share with us or maybe correct an error, then please email us at . If you have any comments on our website or perhaps have a story relating to Ark Royal that you wish to share, then please go to our Guestbook page.